Some of my earliest memories of cooking involve breakfast. I remember watching as my dad flipped bacon with a knife and fork and tenderly cooked over-easy eggs. If it was a special occasion my mom would pop open a tube of store-bought cinnamon rolls and my brother and I would usually fight over the last one. When I became a chef I loved making simple things that reminded me of family and home. 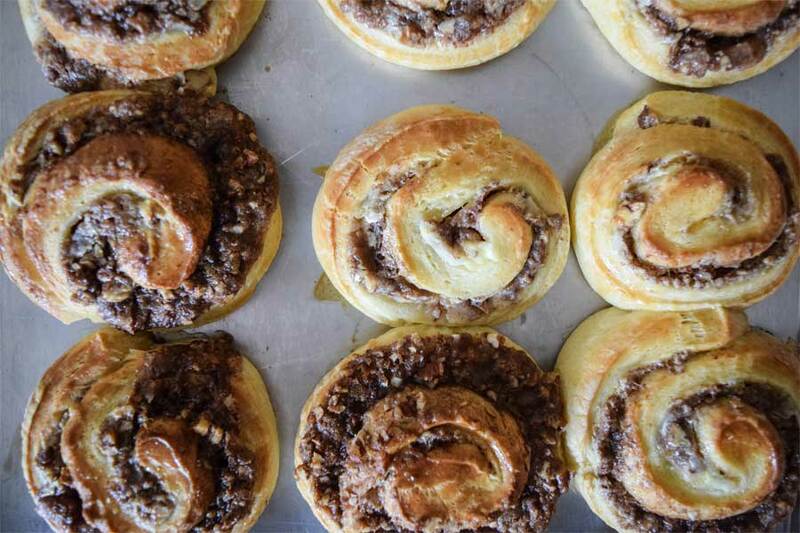 This cinnamon roll recipe is an ode to those Sunday breakfasts. What’s the secret ingredient? Sour cream! 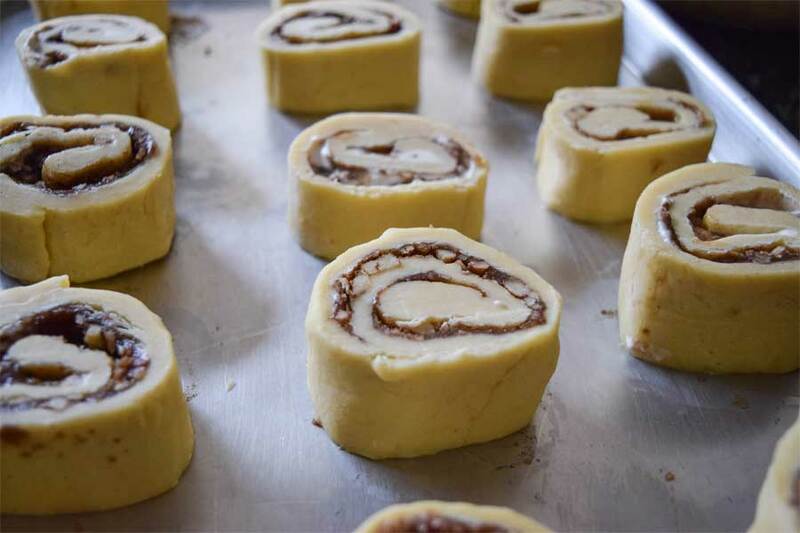 You won’t even taste it but it gives these cinnamon rolls a little something extra. 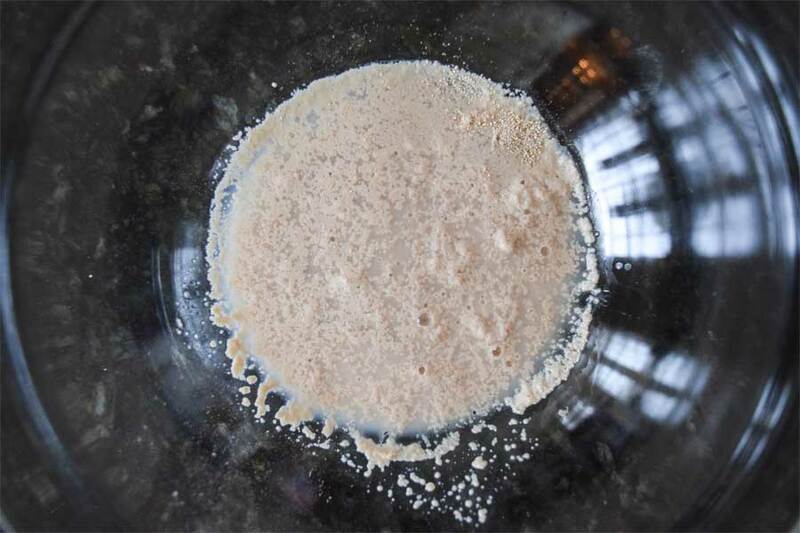 Combine the yeast, 1 teaspoon of the sugar, and warm water in a bowl. Let sit for five minutes until it looks foamy. Depending on the temperature of your kitchen the time may vary. 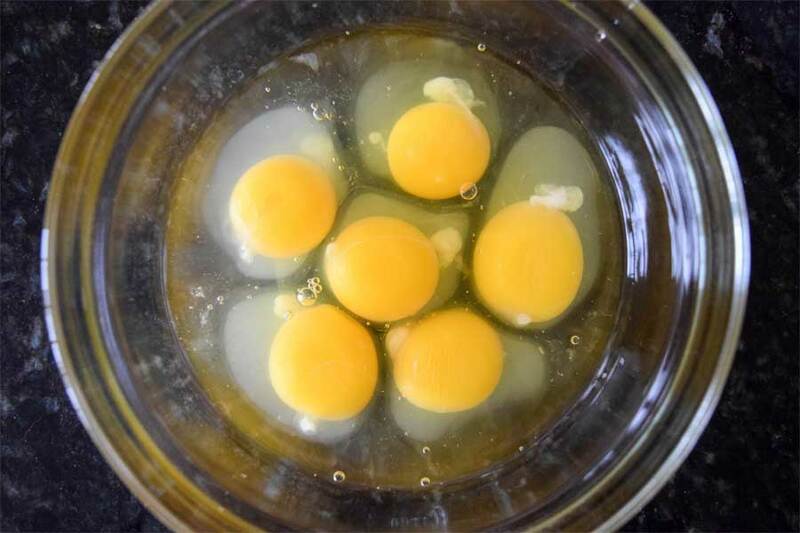 While you wait for the yeast crack your six eggs in a bowl and whisk them, breaking up any membrane, until one smooth consistency. Add the eggs to the yeast mixture and whisk until combined. 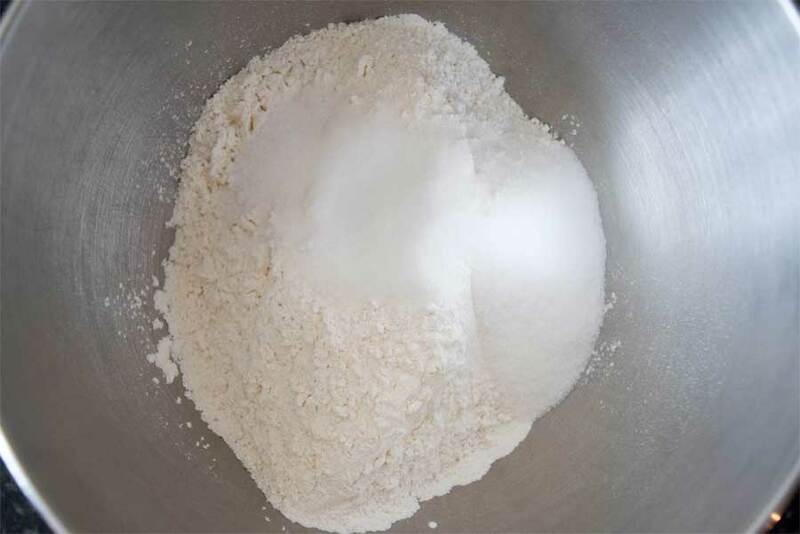 Place the flour, remaining sugar, and salt in the bowl of an electric mixer with a dough hook attachment. Mix on low speed to combine. 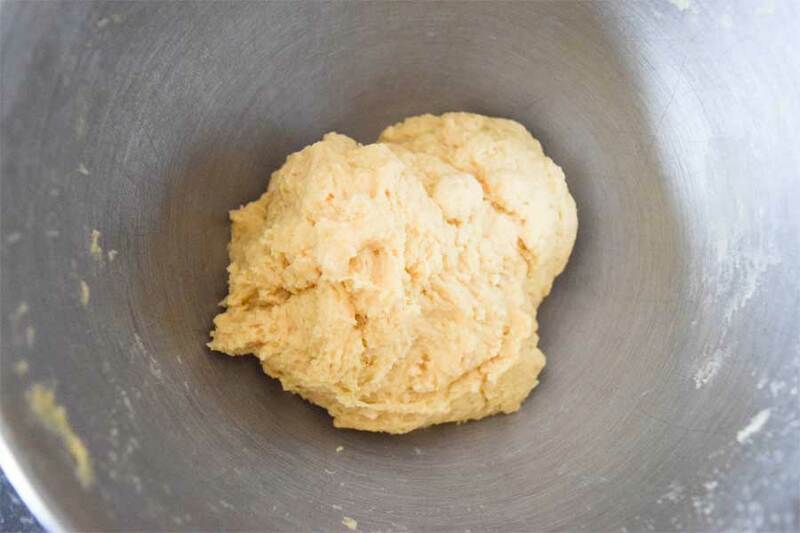 Add the egg mixture to the dry ingredients and mix with the dough hook on medium speed until a ball starts to form and the dough pulls away from the sides. Add the butter a few cubes at a time. Mix until the cubes are fully incorporated before adding more. 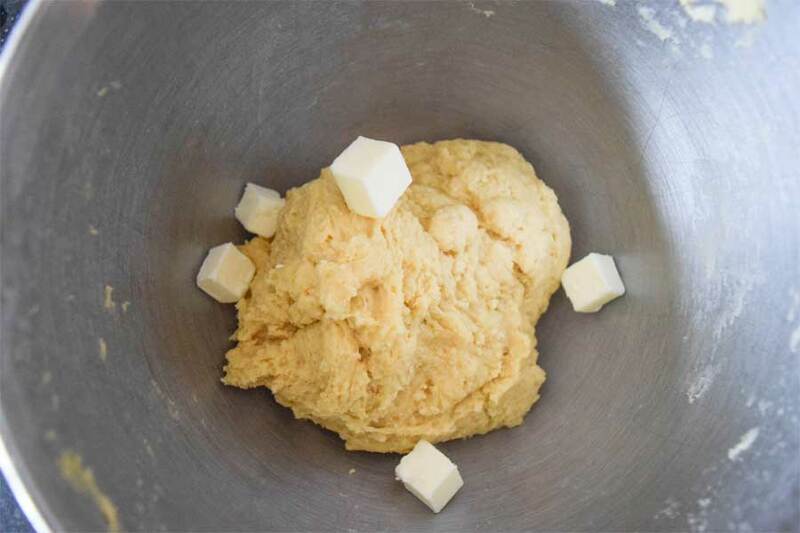 It is important to only add a few cubes at a time so that the butter can be evenly distributed throughout the dough. 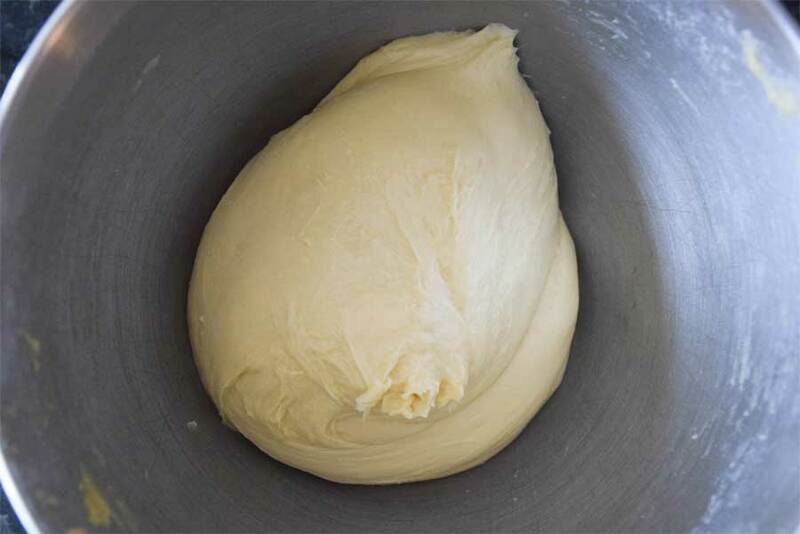 Once all the butter is added, knead the dough with the dough hook for 10 minutes. 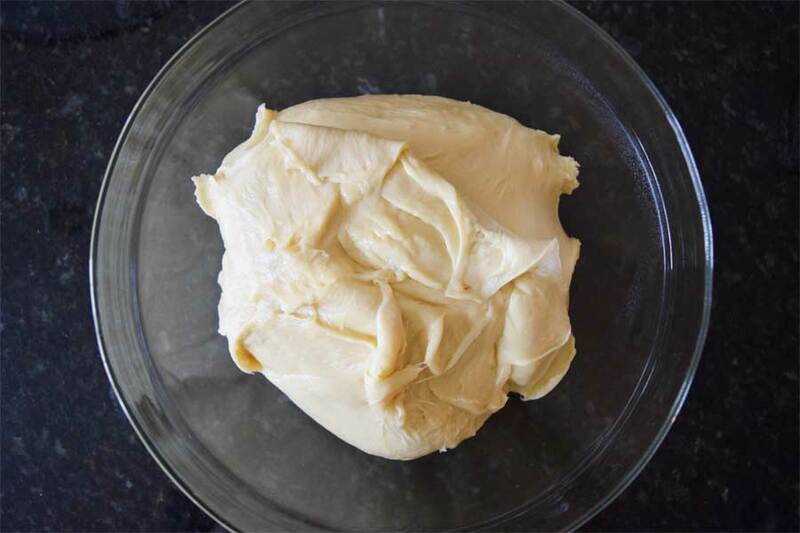 The dough will lighten slightly in color and become elastic. The dough should be slightly firm and have a spring to it. Transfer the dough to a lightly oiled bowl and cover with plastic wrap. Refrigerate for 2 hours. Meanwhile make the filling. Place pecan halves on a baking sheet and bake for five minutes at 350 if desired. 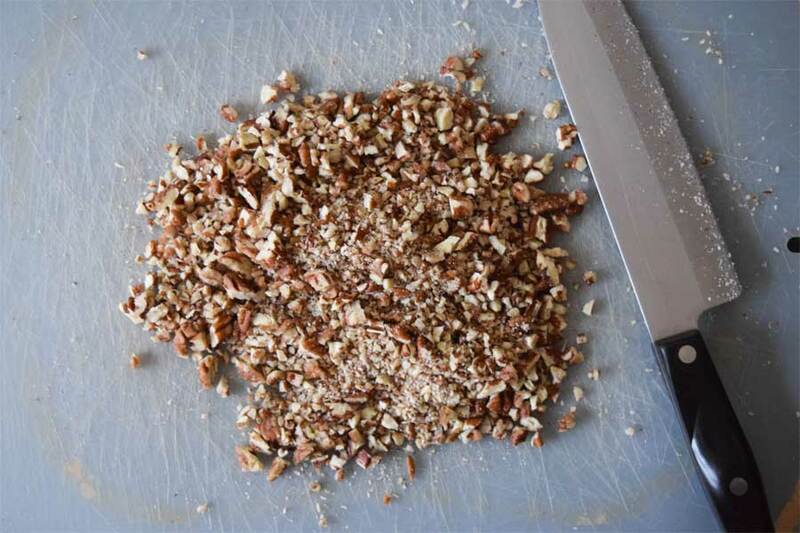 Toasting the pecans isn’t crucial but gives them a slightly nuttier flavor. Once cooled chop finely. 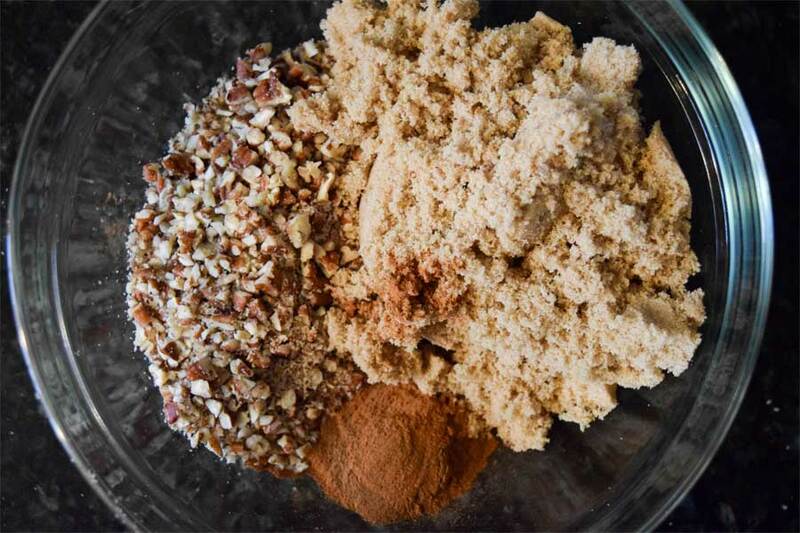 Mix the pecans, brown sugar, and cinnamon together and set aside. Line two baking sheets with parchment paper. Next, remove the dough from the fridge and place on a lightly floured surface. Cut the dough in two pieces. 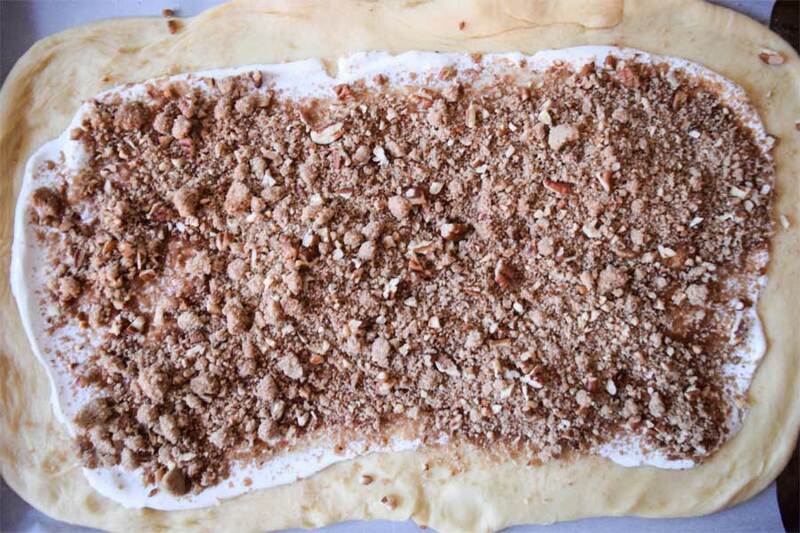 Working with one piece at a time roll the dough into a 12-by-16 inch rectangle. 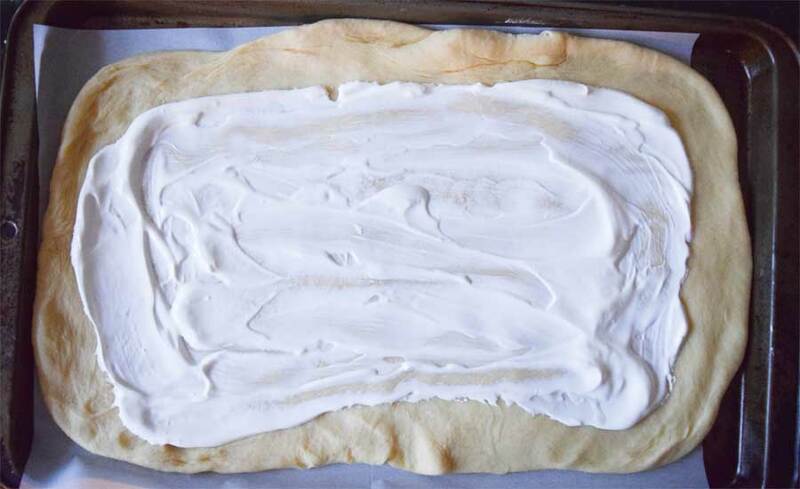 Transfer the dough to the lined baking sheet and repeat with other piece. The dough might shrink back a little. If so, using your fingers, press the edges of the dough out into the corners of the pan, stretching it slightly. Smear half of the sour cream on the slab of dough and repeat with other piece. Be sure to leave at least a ½ inch boarder around the edges. Next sprinkle each piece of dough with filling. 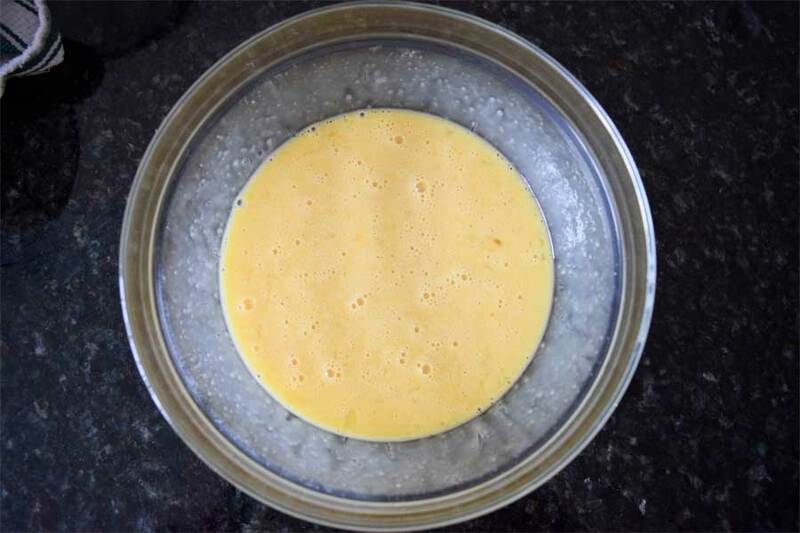 Whisk together the two eggs and brush along the exposed edges of the dough. 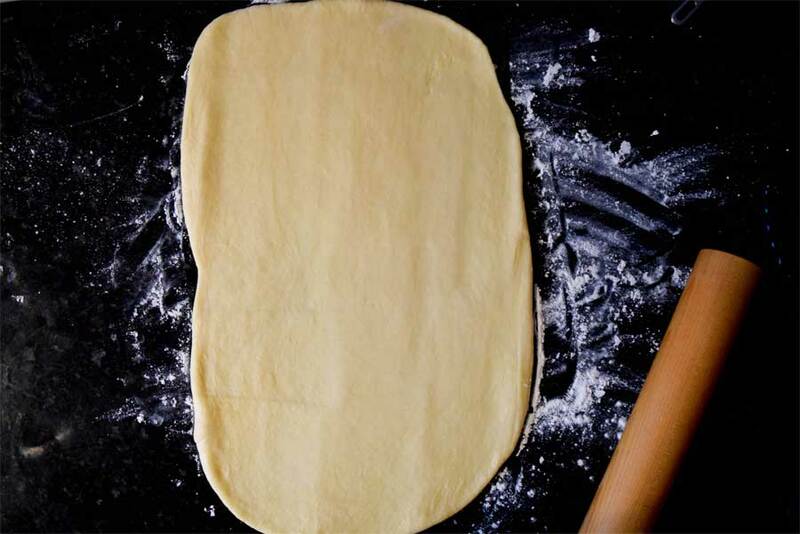 Working from the long side, roll the dough as tightly as you can. Once it is all rolled up, lightly press the crease into the log with your finger to seal it. Repeat with second piece. Place the logs in the freezer for 1 hour to firm up. This will make slicing them a lot easier. Remove logs from freezer. Cut each log into 12 equal pieces and transfer to a baking sheet. Cover with plastic wrap and place in the freezer for 3 hours or until firm. Before baking, remove from freezer and let sit at room temperature for 1 hour. Preheat the oven to 350 degrees. Brush the rolls with the remaining egg wash and place in the oven. Bake for 35 minutes or until golden and puffed. The dough should spring back when you touch it. While the buns are warm make the glaze. 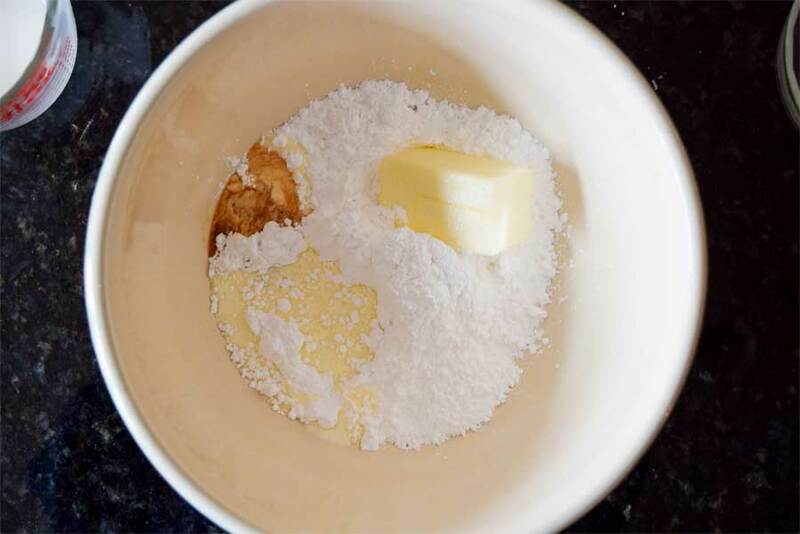 Place the confectioners sugar, cream, butter, and vanilla in a bowl and whisk vigorously or beat with a hand mixer until smooth. While the buns are still warm, spoon the glaze over them. Let the glaze sit for a few minutes to set slightly and then enjoy! 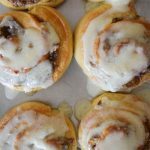 This cinnamon roll recipe is an all-time favorite. What’s the secret ingredient? Sour cream! 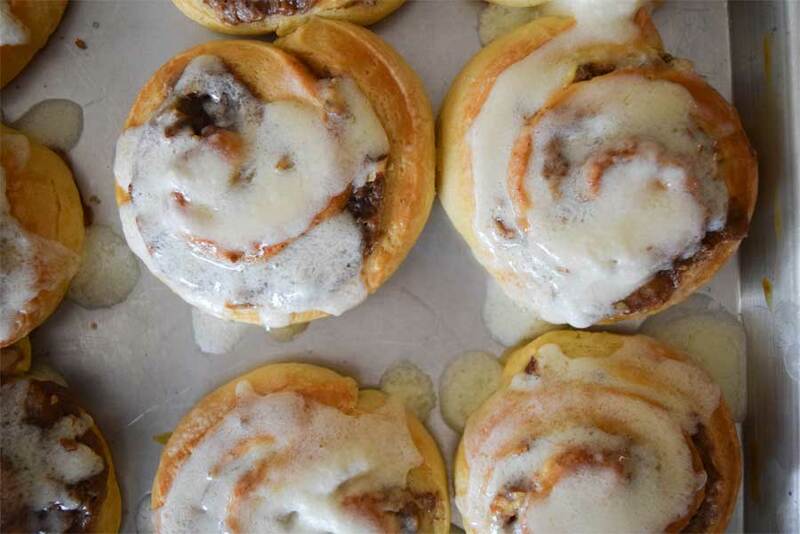 You won’t even taste it but it gives these cinnamon rolls a little something extra.